At DJ Pluming and Heating, we provide maintenance, repair and installations services for all of your Coquitlam plumbing, heating, gas, sewer and drainage matters. Our experienced and professional technicians are ready to handle your needs with custom care every step of the way, handling plumbing repair jobs like leaky pipes to running gas lines to your state of the art out door grill. Whatever you’re looking for, you can find it with us. 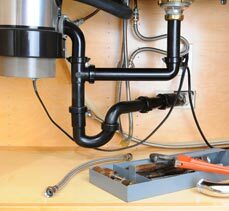 We have the experience and expertise to handle all plumbing related repairs, maintenance and installations. Whether it’s installing new fixtures such as bathtubs, showers, and garburators or repairing a leaky pipe or blocked toilet, we’re able to help you out in a timely, professional and affordable manner. Read more about our comprehensive plumbing services now. We provide installation, repair and maintenance for all of your heating and gas needs. Our certified technicians can assist you with replacing a faulty boiler, troubleshooting a malfunctioning furnace or a complete hotwater tank re and re. We can also help you with your fireplace, patio heater installation or installing a state of the art outdoor gas grill. 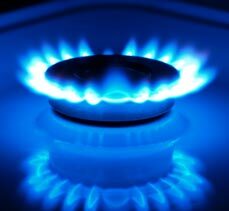 Read more about our heating and gas services. We create both the foundation for drain tiles and the set up. These are mandatory components to assure your home has proper water drain control. Our meticulous quality control ensures this is something you don’t have to worry about. DJ Plumbing and Heating handles all new pipe infrastructure for your sewer installations. We guarantee a solid build all the way through, avoiding needless future costs due to improper installation. 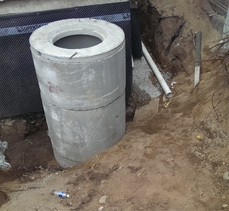 Read more about our drainage and sewer services.